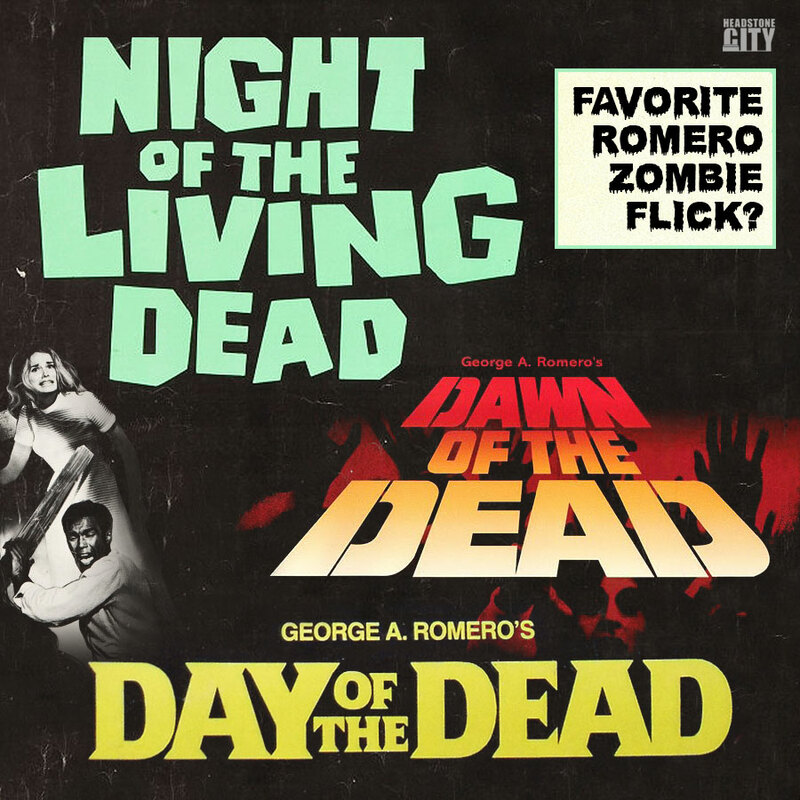 In memory of Mr. George A. Romero let’s do a Romero Zombie poll! If you’re on the side of either running or walking zombies, there’s no denying the impact that George Romero played on the modern zombie. The Godfather of Gore was able to create politically-charged films with zombies. Night of the Living Dead, Dawn of the Dead and Day of the Dead have all gone on to be very important films and each is set in a different decade, the ‘60s, ‘70s and ‘80s. I know he’s made more zombie flicks than these three, but I think we can all agree these are his best. If you had to pick a favorite George Romero zombie flick, what would it be? !